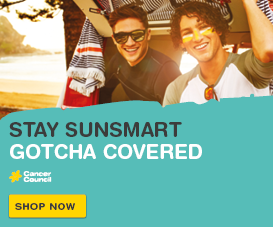 April 18, 2018 in Prevention, Research, Sun Smart. 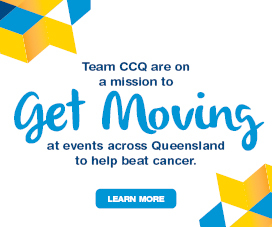 Queensland has the highest rates of cancer among young adults and adolescents aged 15-24 years in Australia, as a result of high melanoma rates across the Sunshine State. A new report released today by the Australian Institute of Health and Welfare, Cancer in adolescents and young adults in Australia, found that in Queensland there were 336 new cases per million people within this age group in 2009-2013, up from the national average of 306 cases per million. The report showed that if melanoma rates were excluded, Queensland, in contrast, would have one of the lowest rates of cancer in Australia among people aged 15-24 – at 243 cases per million people, compared to the national average of 259 per million. Cancer Council Queensland CEO Ms Chris McMillan said melanoma was the most commonly diagnosed cancer in Australia among young people. “Melanoma rates in Queensland are of particular concern as a result of our high UV levels through all seasons,” Ms McMillan said. “In Queensland, 1065 people aged 15-24 years were diagnosed with cancer between 2009-2013 and around 300 of these were diagnosed with a melanoma. “Unfortunately, Queensland is the skin cancer capital of the world. Over-exposure to UV radiation can significantly increase the risk of skin cancer if adequate protection is not applied. Ms McMillan said despite the elevated melanoma rates survival was improving overall. 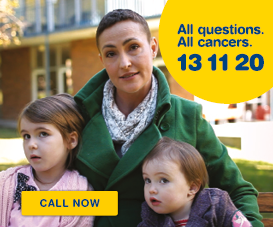 “While more young Australians are being diagnosed with cancer as the population grows, a larger proportion are now surviving the disease which is very promising,” Ms McMillan said. “On average, there is an 89 per cent chance of surviving five years, up from 80 per cent in the late 1980’s. “Further research in this area is vital to ensure that young people have the best chance of having their cancer detected early and receiving curative treatment to improve survival rates and reduce any long-term impact on health and wellbeing.